What Should You Include in Your Pitch Deck? At its most basic, a pitch deck is a visual representation of what your company does. That’s it, it’s that simple. And yet knowing how to create one, what to put in it, with what visuals, and in what order, can be very complicated. Why is it complicated? Because your startup is unique. You’re story, why you do what you do, and what you bring to the table is completely and uniquely yours. Telling that story well is going to be very different than the way any other startup would tell theirs. That being said, there is some basic content that you should, a lot that you can include in your pitch deck.  So to help you get started, we’re launching a series of articles to cover all the important content that can be included in your pitch deck. Topics are listed in order from most important and required, to least important, and to be included only if it fits your particular company, stage, and pitch deck audience.